Home » Uncategorized » Panel discussion: rehabilitative, community-participatory and social security aspects of Schizophrenia-care. Panel discussion: rehabilitative, community-participatory and social security aspects of Schizophrenia-care. The panelists were as below. Dr Lakshmi Gupthan (MCK) was the moderator. 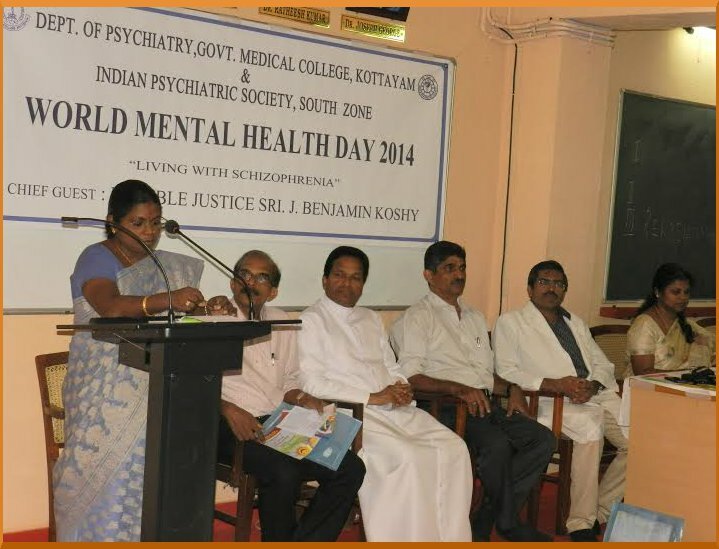 Photo courtesy: Dr Rajeev K M (MCK), From L to R Dr Usha, Dr Ipe, Fr Micheal, Adv. Jayashankar, Dr Varghese Punnose, Dr Laksmni. By kumarRam in Uncategorized on October 13, 2014 .